Change my mind, undo what I now regret. To when I was blacked out… and then came you. Though someday soon, you'll know my true extent. Or made you see… if I could turn back time. You'll stand out more since everyone has tattoos now, right? There are some serious misconceptions about tattoos and people with tattoos. Some of my favorites include, "people with tattoos will never get a real job", "kids just do it for attention", "you'll regret it when you're older", and "tattoos are unprofessional". 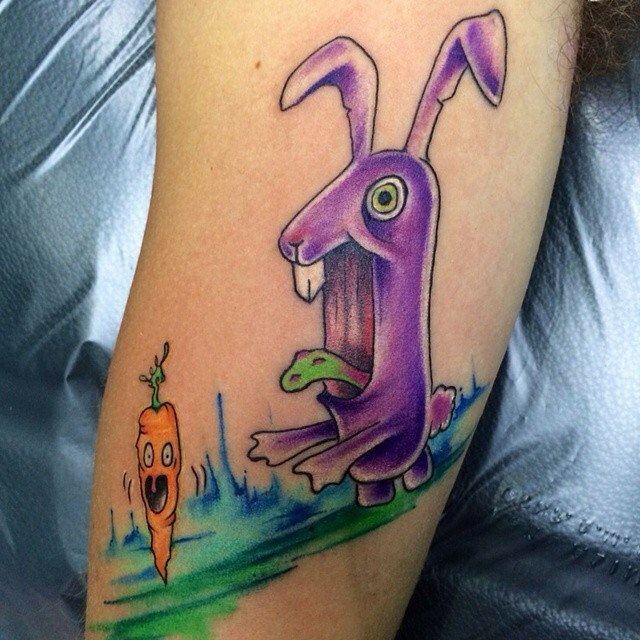 There are some people who are really against the idea of getting tattoos and that is okay. 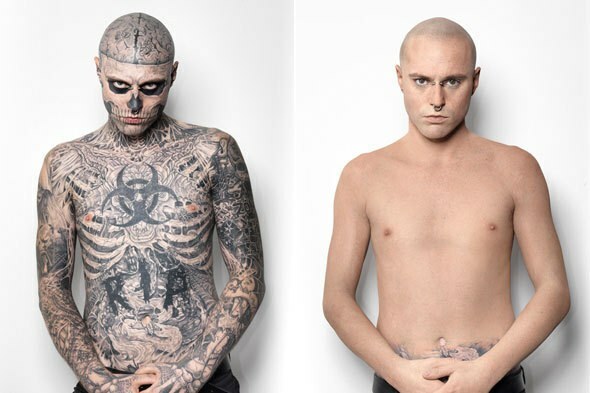 It starts to cross the line when those against it begin telling people who either have tattoos- or want tattoos- why they're wrong. So, with that being said, here are some reasons you should NEVER get a tattoo. Tattoos overall, in my opinion, are awesome. From the artistry and time that goes into them, to the people you meet while you get them, as well as all the different styles of tattoos that exist. Tattoos are a way for you to build your blank canvas. Tattoos are a way for you to express yourself. Plain and simple. Some people write, some people sing, and some people get inked. Each tattoo you get sets you apart from the people around you. The tattoo above belongs to someone in my life whose cat passed away recently. She got this cat reaching up to the moon since her cat has passed. 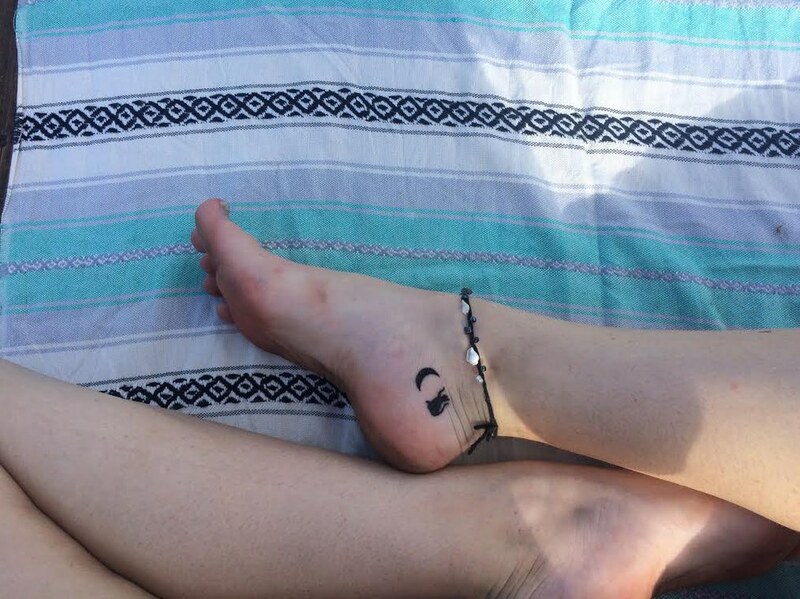 This little emblem means a lot to her and it is her way of expressing herself. Tattoos can have a lot of meaning behind them. In some cases, like the tattoo above, they are for a loved one who has passed away. 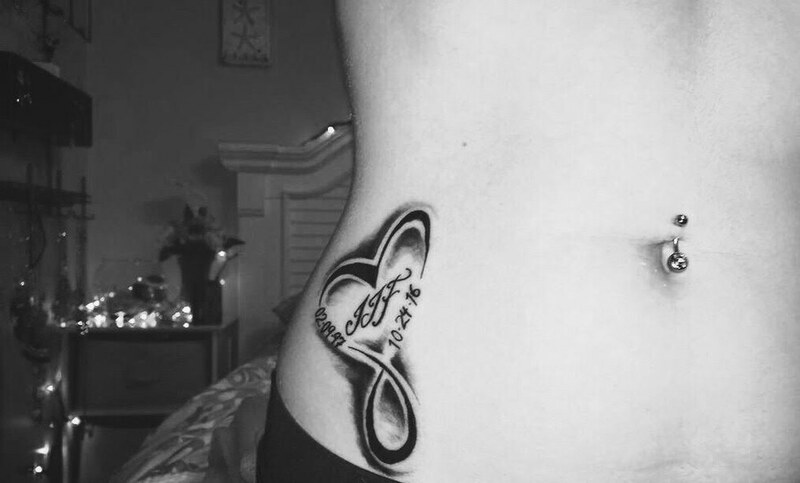 This tattoo has a lot of meaning for my friend and seeing it everyday allows her to keep the memory of her loved one alive. Some of you may be thinking, "why do you need to get a tattoo to do that?". The truth of the matter is that everyone has a way of honoring special people in their lives, and this was hers. Many people have tattoos that represent something or someone in their lives. Then, there are tattoos that are done just for the sake of decorating the human body. These may seem silly/ pointless/ stupid to other people but for the one getting the tattoo it symbolizes nothing more than their own quirkiness. I'll say it again for the people in the back, tattoos don't define people. Tattoos don't mean someone is a criminal, not professional, rebellious or anything else you can think of. Having tattoos means that someone... has tattoos. Shocker right? Not every guy that decides to get a sleeve wants to be different and not every girl that gets a flower on her foot thinks she's a hipster. Ever think that they just like how it looks? Crazy right?! Water color, realism, traditional, tribal, geometric... the list goes on. The amount of tattoo styles is higher than we can count. From there each tattoo artist each has their own flare that they put on their work as well. Tattoos are like snowflakes, no two are exactly the same. There are laws on tattoo shops and on their artists to make sure that they are up to standard on cleanliness and sterilization of their needles. Sure, there may be some places with subpar conditions but that can happen in your dentist's office too so lets not be too quick to judge. 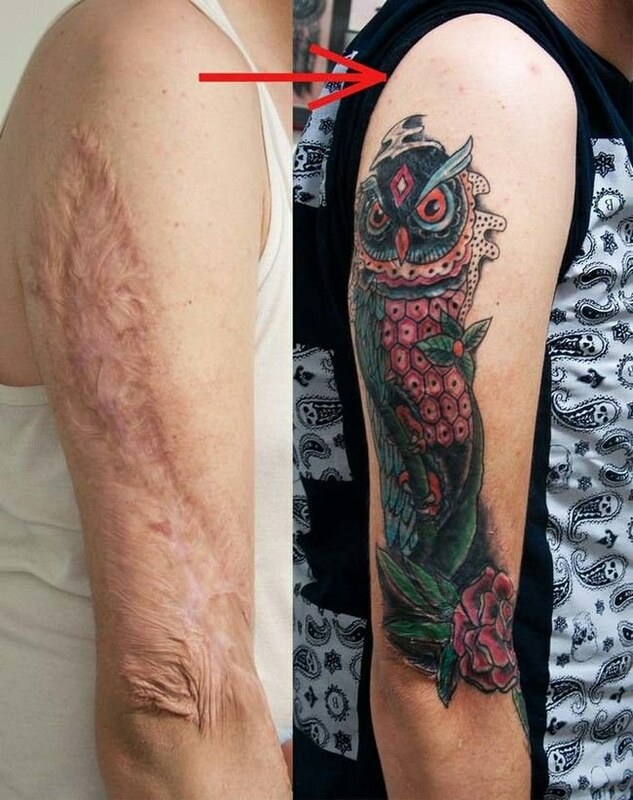 Inspiration from tattoos can come from a lot of different places. 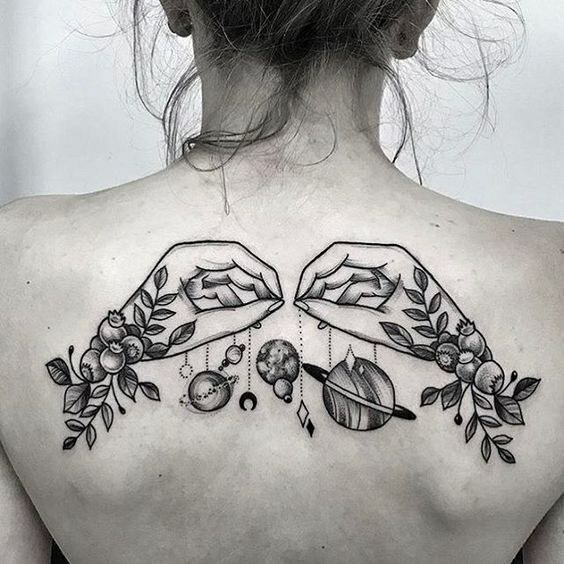 The tattoo above was adapted from Jon Bellion's music. She has her reason why she got it and her interpretation of this phrase. To her "Beautiful Mind" means being at peace with yourself and finding positives within seemingly negative situations to keep your internal peace intact. She loves this because this tattoo can be interpreted by everyone in a different way. The tattoo pictured above is shared by seven different family members. This small gem has a meaning larger than one may think. It symbolizes two grandparents who have finally met each other again in a world beyond our own, who are now at peace together. They decided to all go and honor the couple who loved to fish together with these hooks in a shape of a heart. 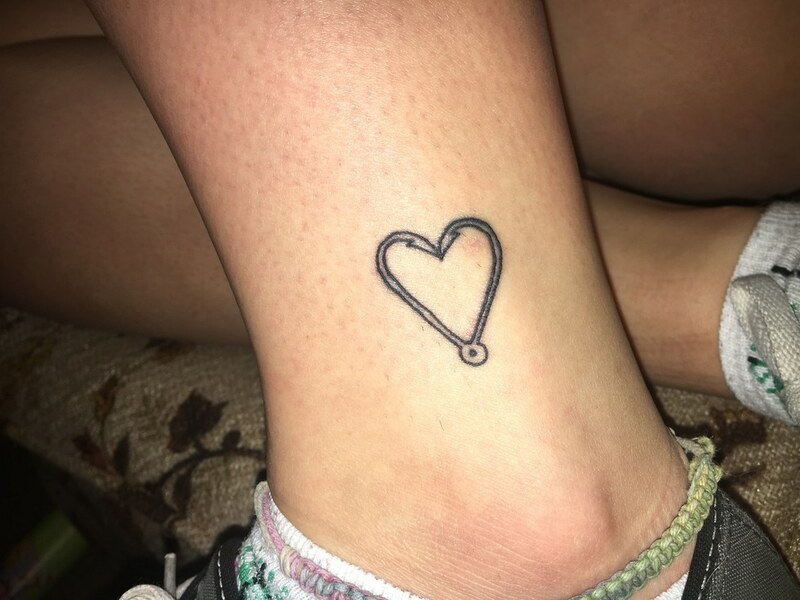 Many times siblings, best friends, or family members get tattoos together to symbolize the bond they share or loved ones they have lost together. Not everyone copes with scars the same way. For some they show it off to show that they have gone through something and that they have conquered. For others, they want to hide it so people do not stare. 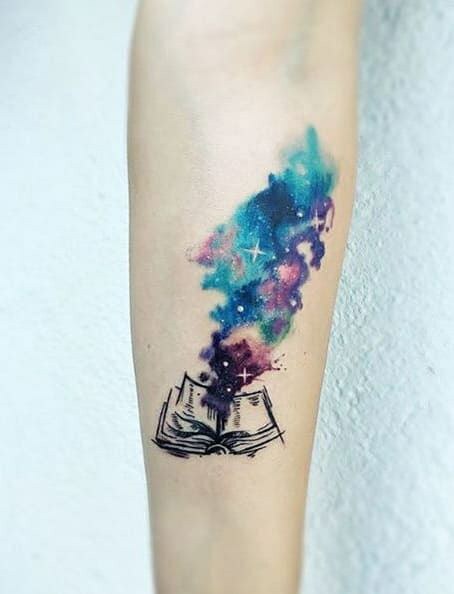 In the piece above the tattoo artist did an amazing job at covering what looks to be a burn scar. This person may have a whole new appreciation for the world of tattoo artistry for bringing their confidence back. Before you tell me that people with tattoos will regret it when they're older, please google "elderly tattoos" and report back when you're finished. May only the holy reside within. who soon emerged as four horsemen. the constant oppression of religious demandings. ignorance imposed by their god for control. Together in the endless black. Poetry On Odyssey: Do You Love Me Too?